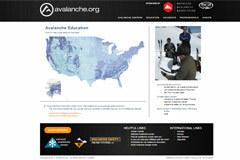 Downloadable avalanche safety education resources and links. 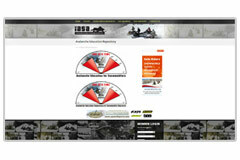 "Avalanche Safety" audio PSA30-second PSA about avalanche safety while snowmobiling from a partnership of the American Council of Snowmobile Associations (ACSA) with funding provided by the Recreational Trails Program administered by the U.S. Department of Transportation – Federal Highway Administration (FHWA). 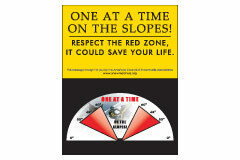 Vertical Poster of Snowmobilers and text "One at a Time on the Slopes. Respect the Red Zone. It Could Save Your Life." 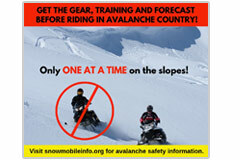 Avalanches have injured or killed a growing number of snowmobilers over the past decade. 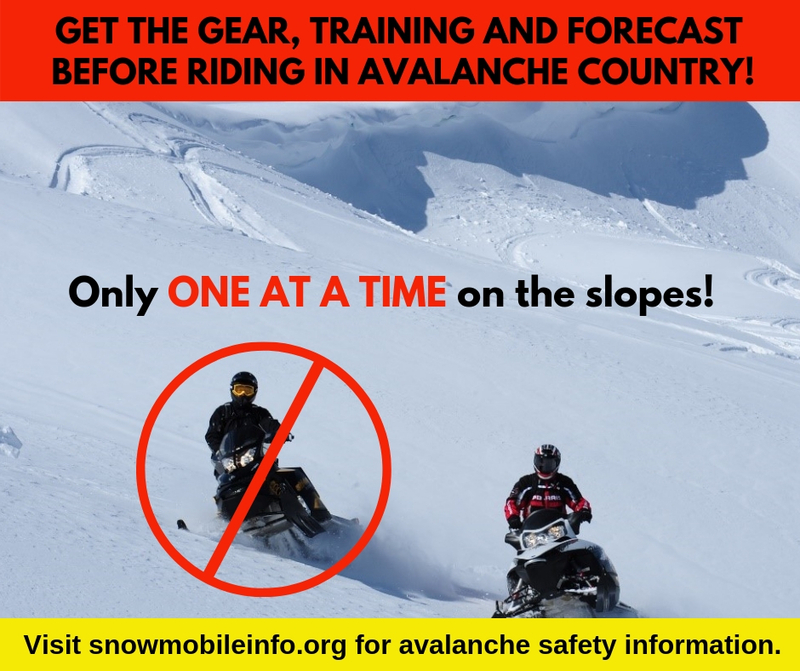 Since most avalanche accidents can be avoided with simple education and preparation, learn more about avalanches, how to make informed decisions, and how to travel more safely when snowmobiling in avalanche terrain. Have fun on the slopesbut make sure you respect the terrain and make good decisions so that you, your family, and friends can return home safe and uninjured. 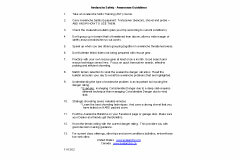 Checklist to help promote avalanche safety awareness. The National Avalanche Center's (NAC) goal is to provide information, education, and planning tools designed to reduce avalanche risk and improve backcountry and ski area safety. 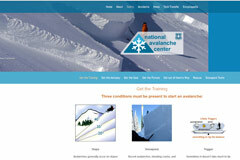 Browse a list of avalanche safety instructors throughout the United States.